The CHR Group, a New York City-based marketing services holding company, has acquired consumer package design firm Slingshot, it was announced Monday. The six-person Slingshot will maintain its brand and office in Toronto, and said it may open a New York City location in the future. The deal is CHR’s twelfth acquisition since the company was founded in 2012. Its portfolio includes Toronto-based digital agency Stone Canoe, Winnipeg-based design studio and print house Vantage Studios, and brand development and digital services agency ClarkHuot. Ava Abbott, managing director of Slingshot, said the move is a “win-win” for both the firm and its clients, and will allow Slingshot to scale up its service offerings. 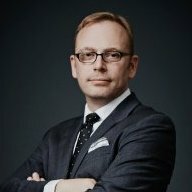 Clarke said The CHR Group has plans to acquire a “couple more” companies in Toronto over the next few months, and is looking to make a total of ten new acquisitions this year. Founded in 1999, Slingshot has clients in the United States, Europe, Australia and the Caribbean.